Phoenix, Arizona—An alleged drunk driver collided head-on with a vehicle on Sunday night, killing one and sending three other people to the hospital. 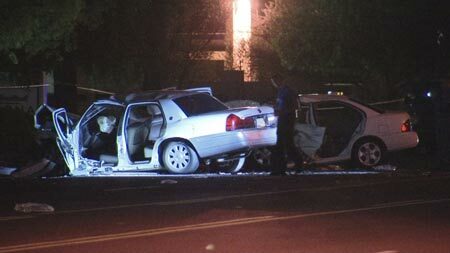 Phoenix Police Department accident investigators identified the deceased as Ramona Dewhurst, age 52. Ms. Dewhurst’s passenger remains hospitalized, as does the suspected drunk driver, whose passenger was treated for his injuries and released. The crash occurred as the suspect was westbound on Thomas Road. His vehicle crossed the median at 37th Avenue before striking Ms. Dewhurst’s car head on. Phoenix firefighter accident responders extricated three of the four vehicle occupants. We extend our condolences to Ms. Dewhurst’s family and friends over this tragic loss and we wish speedy and complete recoveries for those who were injured.